With terrorism on the rise throughout the world, protection of critical facilities, particularly infrastructure facilities, has become a high priority for both industry and government. New and proposed regulations for specific industries mean that current security fencing may not be adequate to protect installations from being attacked by terrorists. Preventing sabotage and potentially disastrous interruptions in infrastructure services requires exceptional perimeter fencing solutions. Ameristar, a world leader in high security fencing, offers product lines designed to provide the needed protection against trespassing by intruders with destructive intentions. At the top discount fencing product supplier in the country, we supply our customers with any of Ameristar’s high security fence products, shipped to you directly from the manufacturer. Our purchasing agreement allows us to pass along substantial savings to you. We can also assist you in selecting exactly the products you need. Our specialists are always ready to help you create complete materials lists for your installation and to expedite direct delivery. Ameristar products are manufactured in the USA, and represent the very best in engineering and manufacturing. 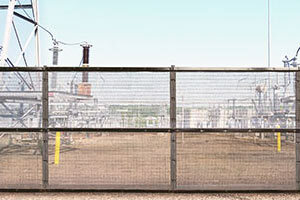 We feature Ameristar’s Matrix line of perimeter fencing. Designed specifically to meet the security requirements of electric utility substations, distribution facilities and other attended and remote unattended installations, it is an expandable, engineered enclosure solution. Designed to meet upcoming CIP-014 security standards for these facilities, its flexible and expandable features allow electric utilities to protect their critical substations from a wide range of threats. 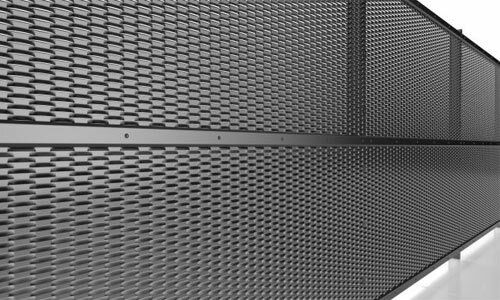 Customizable with a range of inserted grid panels, every feature of Matrix steel fences is designed for maximum protection and efficient, cost-effective installation. The Matrix line is engineered to accept a wide range of enhancements, each designed to increase the protection provided by the system. Built-in raceways for security system wiring for cameras, intrusion detection and many other systems is standard. 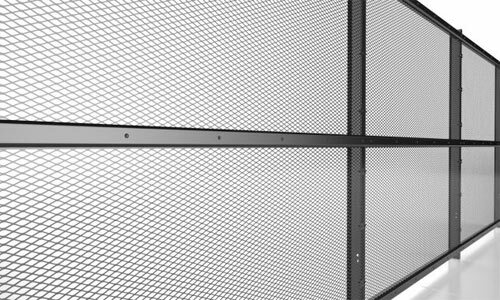 Grid insert panels are available in four styles, with different transparency features and resistance to breaches. Additional conduits can be added for expansion of connectivity cables. Ballistic plating is available to protect those conduits. Add any of Ameristar’s eight Stalwart anti-ramming cable systems to meet any level of breach prevention. The system’s design seamlessly integrates these options. Learn more at the link. 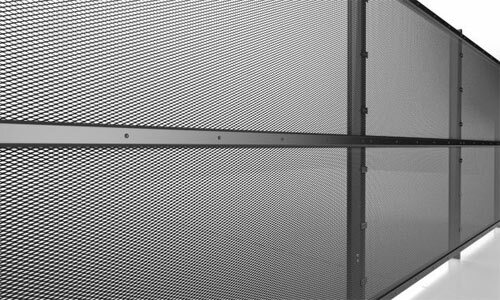 Although Ameristar designed the Matrix grid system specifically for electric utility facility protection, it is equally well-suited for use as a perimeter enclosure system for a wide range of installations. From natural gas pipeline compressor stations and regulator facilities to a variety of other private and governmental facilities that require maximum protection from intrusion, the Matrix product line offers superior strength and installation options, while providing an aesthetic improvement and increased durability over other fence types. As threat levels increase, the system can be enhanced to any desired level. It’s also ideal for remote facilities that operate without on-site staff. Integrating surveillance and threat detection technology is part of the Matrix design engineering. While the Ameristar Matrix grid enclosure system is especially featured at our discount fence supplies center, we can also supply you with all Ameristar high security fencing products. With the most extensive line of models available anywhere, there is a product that is an ideal match for the needs of all industrial, infrastructure and information system organizations. You’ll find information on all those systems. We welcome your inquiries on all Ameristar products, and will be happy to assist you with specifications and materials lists, along with direct shipping to your location from the manufacturer. Security and protection against a wide range of threats, including terrorism, are concerns for everyone today. A well-designed and engineered perimeter fence and security gates can serve as your first line of defense. 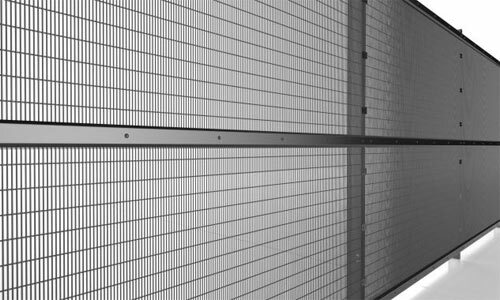 As a global leader in the manufacture of steel fences, Ameristar has an ideal solution for your industrial, commercial, infrastructure or data facility. Our direct shipping fence and security products company, centrally located in Minneapolis, MN, is your one-stop source for all Ameristar products. We offer excellent discount pricing and shipping of products directly from the manufacturer, along with unmatched expertise to help you select and specify exactly the perimeter fencing solution that will meet your exact needs. Contact us today to discuss your plans and let us help you with all aspects of your project.